Although basil is commonly associated with Italian cooking, the plant is actually native to India and tropical Southeast Asia, where the herb has been cultivated for more than 5,000 years. 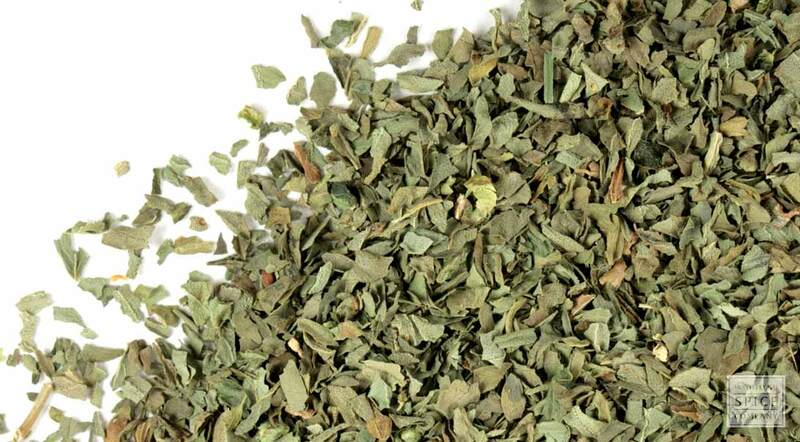 why buy dried basil leaf? The dried herb stores longer and is more versatile than fresh. storage tips Store in an airtight container away from direct heat, light and moisture. appearance & aroma Deep to medium green with a peppery, sweet smell. cosmetic Infuse in oil or vinegar for skin preparations, or use a strong infusion as a facial wash and hair tonic. culinary Use alone or in combination with other herbs to season cooked foods and salads. Basil is also used to make flavored oils and vinegars. household Basil tea and vinegar solutions are used in antibacterial surface cleaners and sprays. aromatic Use in bath bags, sachets and incense blends. wellness Basil contains essential fatty acids, vitamins, minerals and flavonoids. industrial Basil is an ingredient in some of the world’s most expensive perfumes and colognes. safety Do not use in large quantities if you take anticoagulant medications because of the herb’s vitamin K content. Mix with garlic granules and butter to spread on vegetables, potatoes and garlic bread. Combine with rosemary leaf to season braised meats and vegetables and Mediterranean-style stews and soup. Basil has a flavor similar to anise or clove, but milder. 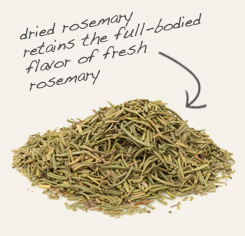 Blends well with many other herbs and spices, especially thyme, oregano, rosemary, sage and black pepper. In the ancient world, basil was reserved for royalty, as evidenced by its common name that was taken from the Greek basileus that means "people's leader." The French refer to the herb as herbe royale and in Germany it is known as Königskraut, both of which translate to "herb of the king". Basil was introduced to North America in the in the 17th century when it was procured for Thomas Jefferson by Bernard M’Mahon, a renowned horticulturalist appointed as one of two nurserymen to become curators of the seeds and roots collected by Lewis and Clark. Curiously, despite enjoying widespread popularity in the New World, the herb fell out of favor in the 1800s until its revival as an exotic ingredient deemed necessary in cookbooks published in the late 1960s and early 1970s that featured Mediterranean and Asian cuisines. The renewal in popularity has since led to the development of more than 50 varieties of basil, including several lemon-scented basils. In addition to Italian foods, basil is widely used in Asian cuisine. In Thai cooking, for example, the herb is added vegetable stir-fries. Basil’s flavor profile is particularly suited to dishes that contain cabbage, peppers and eggplant. It’s also an excellent seasoning for dishes that feature tofu or fish.